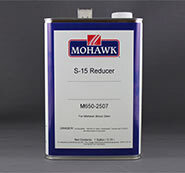 Mohawk’s NEW Waterborne Brushing Urethane! Waterborne Brushing Urethane is a high quality, non-yellowing acrylic/urethane top coat that provides a beautiful finish that will enhance the beauty of your wood projects. Waterborne Brushing Urethane is low odor, fast drying and low VOC. It is easy to apply and has excellent leveling properties. 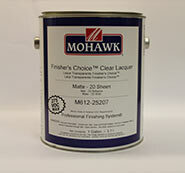 It is a high solids, self-sealing finish that provides faster build with fewer coats for superior results.